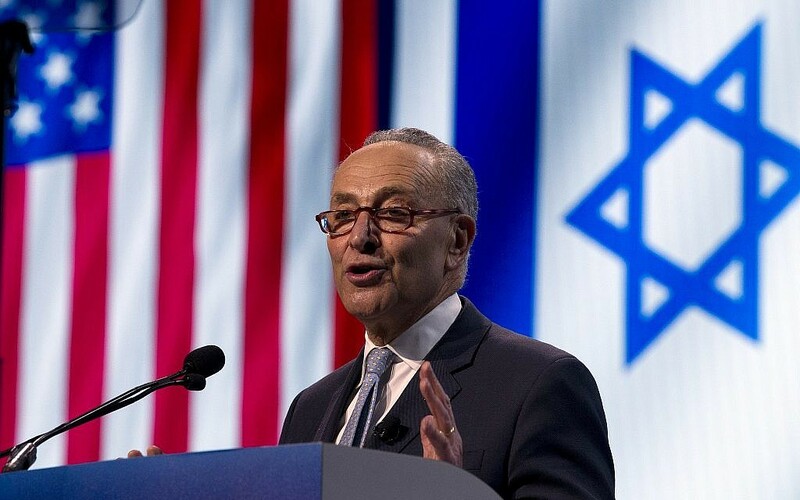 Photo via Times of Israel // Senate Minority Leader Chuck Schumer, D-N.Y. speaks at the 2019 AIPAC Conference in Washington, D.C. Following a controversial call from progressive group MoveOn for Democratic presidential candidates to boycott AIPAC, none of the major Democratic faces in the race showed up. Vice President Mike Pence was among those who, during his speech at the conference, accused the Democratic Party of “boycotting,” in what was an unusually partisan attack at the conference, which is nonpartisan. While some accused those candidates of the boycott, the only to official state such intent was Sen. Bernie Sanders, D-Vt. In the wake of the controversy, AIPAC itself pushed back against the idea that there was a boycott and, on March 26, met personally with four 2020 hopefuls during its yearly lobbying blitz. “Senators Booker, Harris, Gillibrand, Klobuchar all met with AIPAC constituent delegations,” an AIPAC official told the Jewish Telegraphic Agency. JTA also reported that the foreign policy advisor for Sen. Elizabeth Warren, D-Mass., met with the group that same day. AIPAC’s statement only discussed those candidates currently serving in Congress, where the group’s lobbying efforts are focused. 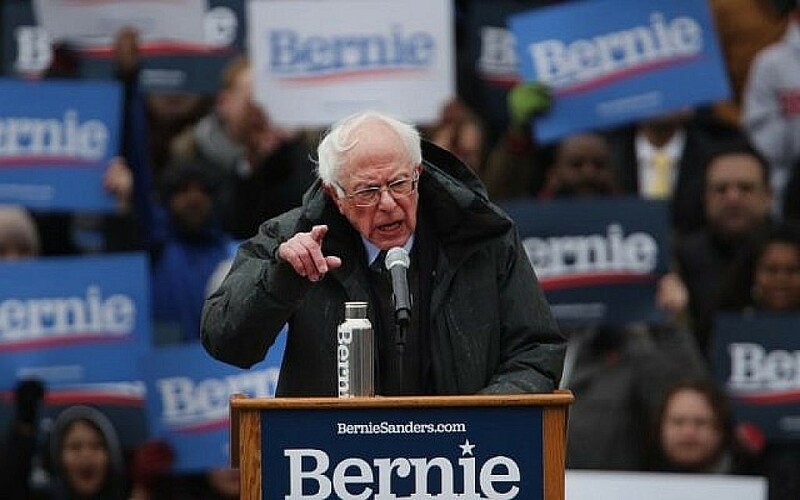 Photo via Times of Israel // Bernie Sanders, who was among the Democratic Presidential candidates not in attendance at AIPAC, speaks at a rally in Brooklyn. One big question addressed by speakers at AIPAC this year was: What defines anti-Semitism? Among the topics raised were remarks by Rep. Ilhan Omar, D-Minn., attacking the lobbying group, statements that many decried as anti-Semitic. Others who called out Omar by name included Secretary of State Mike Pompeo, Rep. Steny Hoyer, D-Md. and Senate Minority Leader Chuck Schumer, D-N.Y.
Schumer, the highest-ranking Jewish legislator in the U.S., addressed anti-Semitism coming from all directions. “And let me tell you if you only care about anti-Semitism coming from your political opponents, you are not fully committed to combating anti-Semitism,” he said. Pompeo also addressed anti-Semitism in his address, saying that “Anti-Zionism is anti-Semitism.” He referenced Omar, and Rep. Rashida Tlaib, D-Mich. indirectly for their support of the boycott, divestment and sanctions movement. Absent from his address was any mention of anti-Semitism from the far right. Schumer himself didn’t hesitate to name Omar, and also discussed right-wing anti-Semitism, such as tweets from House Minority Leader Kevin McCarthy, R-Calif. that three Jewish billionaires had purchased midterm elections. He also took aim at the White House, and particularly U.S. President Donald Trump’s reaction in the wake of the Charlottesville “Unite the Right” rallies in 2017. 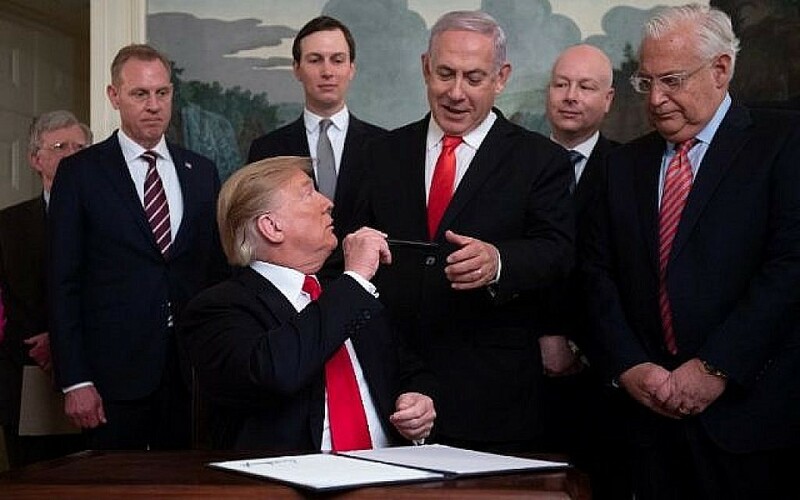 Photo via Times of Israel // President Donald Trump hands his pen to Prime Minister Benjamin Netanyahu after signing his Proclamation on the Golan Heights on March 25. After announcing a policy shift on Twitter mid-March, Trump formally recognized the Golan Heights as Israeli land. Prime Minister Benjamin Netanyahu was with Trump as he signed the proclamation. “Your recognition is a two-fold act of historic justice. Israel won the Golan Heights in a just war of self-defense, and the Jewish people’s roots in the Golan go back thousands of years,” Netanyahu said. The move reversed more than 50 years of American foreign policy, after Israel took the Golan heights from Syria in the Six-Day War in 1967. Much of the international community still considers the Golan Heights occupied land, including the European Union, who unanimously voted against recognition of Israeli sovereignty in the region last week. United Nations Secretary-General António Guterres said that it is “clear that the status of Golan has not changed,” U.N. spokesperson Stephane Dujarric said March 25. Critics of Trump’s decision say that it weakens the U.S.’s ability to chastise Russian annexation of Crimea, and also that it is an attempt to shore up support for Netanyahu ahead of difficult elections this month.